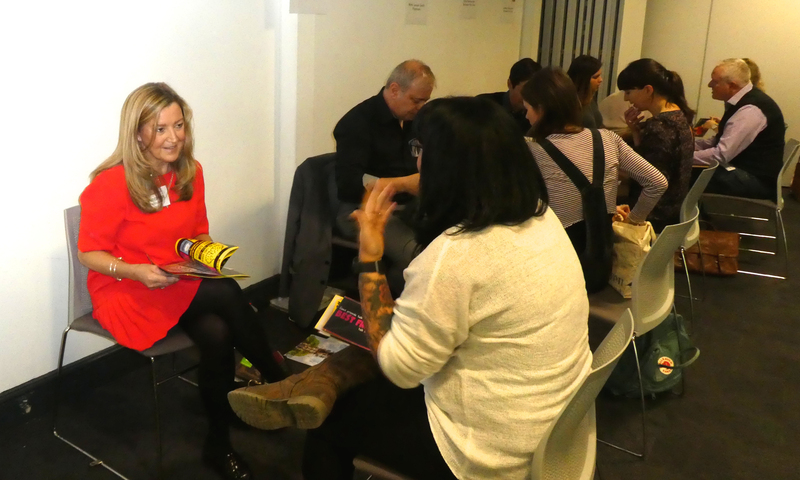 The recent GCA Speed-dating with Dragons 3 sell-out event, hosted at London’s Business Design Centre, was memorable for all involved. It was an afternoon to be remembered for the newbies presenting their wares for the very first time to retailers; for more established players demonstrating how they have reinvented their portfolios; for retailers on the lookout for publishing gems; for how industry stalwarts selflessly shared their wealth of knowledge and experience and for the palpable sense of camaraderie that was all pervasive. Above: Among the cards from the Dragons event that stood out for Jo Sorrell. 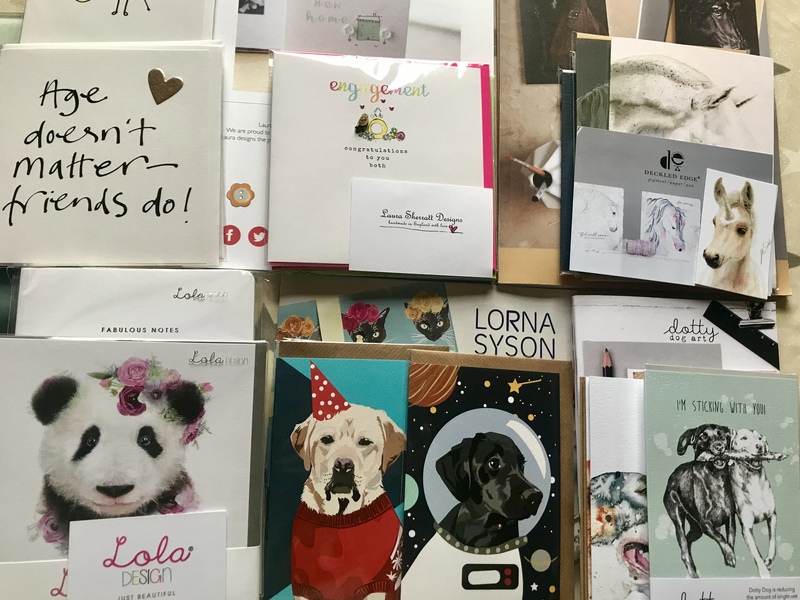 Top picks: “I was so lucky as the very first publisher I chatted with was Kathy Fern Webster from Dotty Dog Art. I first met Kathy last year at PG Live and loved her work as her favourite subjects are dogs. I placed an order with her at the end of the day. Above: Cardies’ Jo Sorrell (right) with Laura Sherratt. Among those who stood out for me was Deckled Edge and I will definitely be ordering from. Again I first saw this publisher last year at PG Live and there is now a great choice of product from which to choose. I also love horses so another personal choice. Luckily for me so many of our customers are animal lovers too I can get away with choosing what I love. 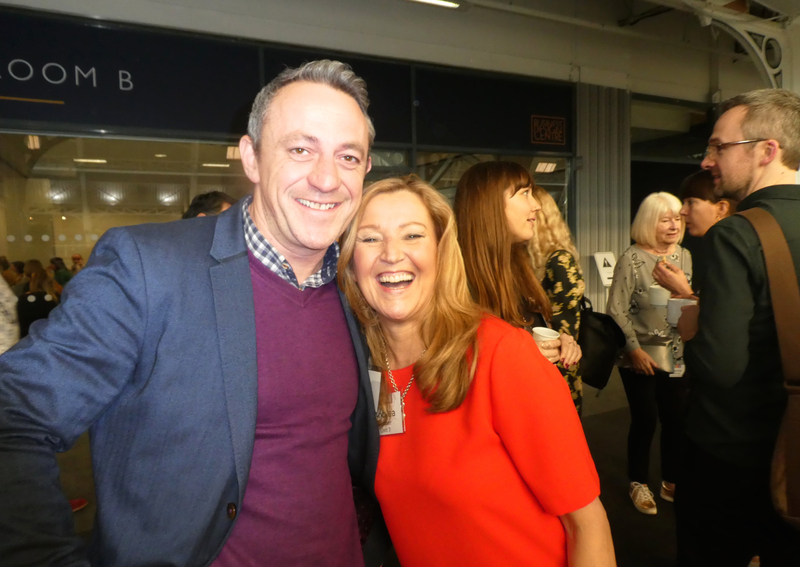 Your view of the event: “I loved the Dragons Den event, it was great fun. 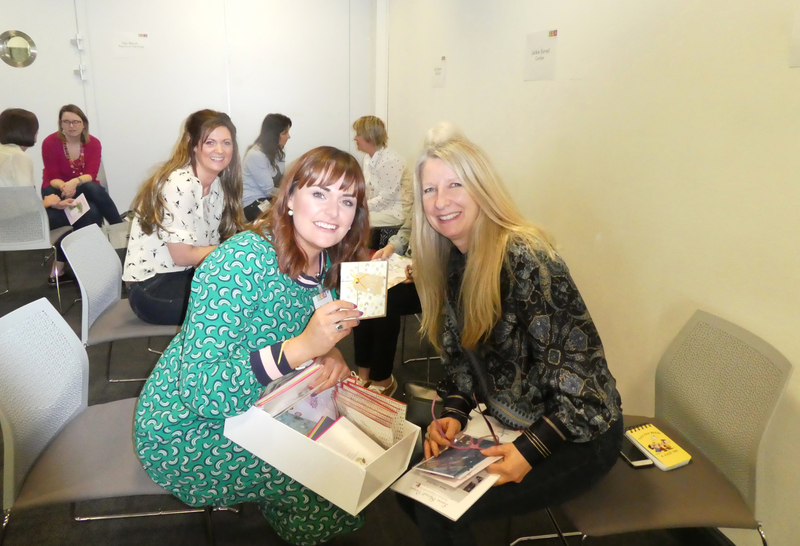 I talked to 13 publishers so it was a whirlwind of talking and even I was flagging by the end. It was brilliant to meet and chat with so many talented and lovely cardies. 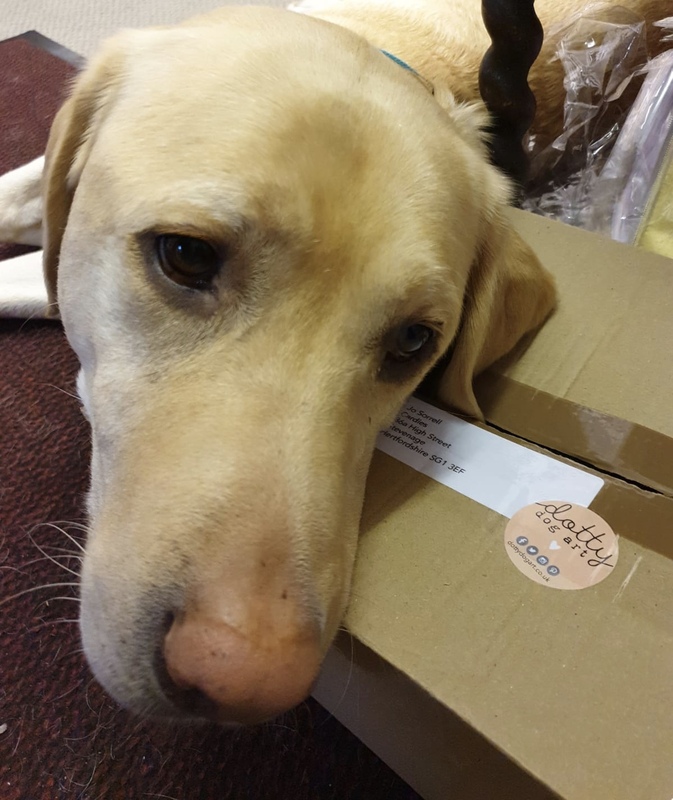 Above: One of Jo’s dogs, Orberry showing his appreciation of the delivery from Dotty Dog Art Cards. Above: Unit 7’s Andrea PInder with Penmark’s Mark Rees at the Speed-dating with Dragons 3 event. Top picks: “I did make orders from Laura Darrington for her new range Halcyon and I’m pleased to say it’s selling well. I ordered Brainbox Candy’s new celebs range and also Modern Toss, which is now taken under its umbrella. I have also been in contact with Blue Island Press since the event. 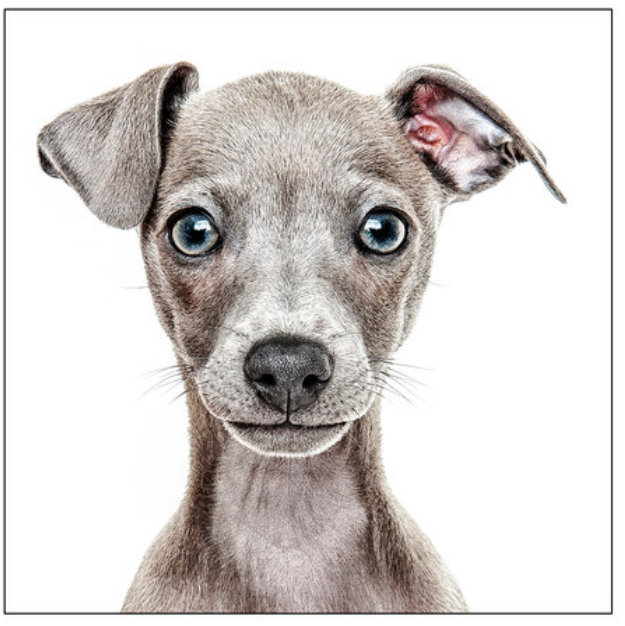 Rhian ApGruffyadd, founder of Gruffpawtraits had some fantastic dog portraits. Rhian specialises in animal photography her work was amazing. Above: One of the designs from Gruffpawtraits. Your view of the event: “As a buyer you get something out of being able to help others, and of being part of something with others who share a passion for this industry. Above: Andrea Pinder (left) is all eyes and ears during a pitch.